Navy SEAL recruiting for officers has been streamlined to a two-phase screening and selection system with candidates from all the officer sources seeking to become a Naval SEAL Officer (USNA, ROTC, OCS) undergo the same selection process. Now all three Naval Officer programs - US Naval Academy, Reserve Officer Training Corps, and Officer Candidate School - require the applicants to attend SEAL Officer Assessment and Selection (SOAS) at the Navy Special Warfare Center in Coronado, CA. Phase 1 requires that all candidates submit their SOAS application package to the Officer Community Manager by January - February of each year. The Naval Academy typically has well over 100-150 candidates per class, so they conduct a BUD/S Screening the junior year of all Midshipmen interested in attending SOAS and BUD/S after graduation to help reduce that number further. All officer candidates will soon find out if they qualify for the second phase of the process which is attending the three-week SOAS Course at the Navy SEAL Basic Underwater Demolition/SEAL (BUD/S)Training. Phase 2 is SOAS: SEAL Officer Assessment and Selection Training - This new process is different from previous years methods of officer selection for Naval Special Warfare. For decades the Naval Special Warfare community (also known as SEALs) have pre-trained officer candidates from various Service Academies and Navy ROTC through a program called Mini-BUD/S. Mini-BUD/S was more like a summer camp for Midshipmen compared to today’s assessment and selection program. Similar to Mini-BUD/S, SOAS is for officer candidates who are contemplating the opportunity to attend SEAL training after their graduation or OCS training. 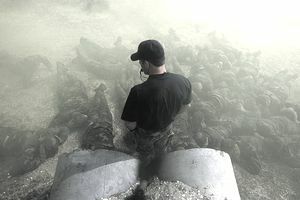 The training is held at the Basic Underwater Demolition / SEAL Training Center (BUD/S) in Coronado, California. Today, Mini-BUD/S has evolved from a summer training course for Midshipmen into a complete three-week screening program for all officer applicants. The new program, SOAS — SEAL Officer Assessment and Selection, is open to Service Academy and Navy ROTC Midshipmen/Cadets during the Summer before their senior year. It is also open to highly qualified Officer Candidates School (OCS) applicants BEFORE they attend OCS. Candidates have to be invited to SOAS by filling out the application found at the SEAL Community Managers webpage. Typically, the SEAL Officer selection board accepts Service Academy, NROTC, and OCS packages during the months of January/February and the candidate will get word typically by March - April to report to SOAS in the next few Summer months. During the application phase, the board will decide if a candidate is worth seeing more of by attending SOAS. Consider this ticket to the dance to prove your mettle. Week One at SOAS: Familiarization Week — The first week is more educational than physical for the candidates. The students will attend lectures and tour Navy SEAL Teams and meet members of the Navy SEAL Officer Community. They will attend briefings from SEAL Officers and Enlisted as well as do some basic physical training similar what the actual BUD/S students will receive. Week Two at SOAS: The days are long, and students will constantly be assessed through more intense physical training. They will be tasked with several fitness tests to include the Navy BUD/S PST: 500-yard swim, Pushups, Situps, Pullups, and 1.5-mile run as well as other physical tests. Many of the tests include running and rucking on the beach, ocean swims with fins, obstacle courses, log PT, as well as various swimming skills in the pool and ocean. The students will also be engaged in writing assignments and subject to instructor and peer evaluations. You will be evaluated on your ability to be a team player, a leader, and physically tough. Week Three at SOAS: The SEAL candidate will also be subject to psychological evaluations this week, but they are constantly being observed in this capacity throughout the previous weeks as well. The candidates will be asked several questions about yourself and your knowledge of current events and Naval Special Warfare by the SEAL Board Interview. The board consists of active duty Navy SEAL officers and senior enlisted and part of the Naval Special Warfare Center and the Officer Community Manager. Since 2014, all officer candidates are screened through SOAS during the Summer before their senior years (Service Academy/ROTC). The OCS candidates invited to attend SOAS are college graduates and have to be within the age limit of attending BUD/S (27 years old). This new selection program is similar to other Special Operations Command (SOCOM) selection and assessment programs administratively, but the training is pure Naval Special Warfare at its finest. Many of the candidates do not get selected. Some will quit and lose the opportunity to attend SEAL training as a service selection option, but they are still able to become officers in other communities in the military.